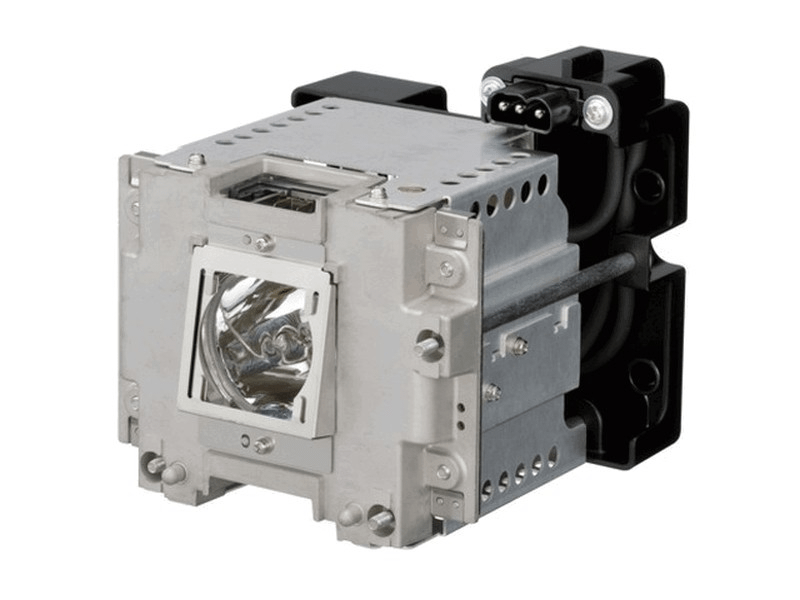 The VLT-XD8000LP Mitsubishi projector lamp replacement comes with a genuine original 300 watt Ushio bulb inside rated at 6,500 lumens (brightness equal to the original Mitsubishi replacement). The VLT-XD8000LP lamp has a rated life of 2,000 hours (4,000 hours in Eco mode). Our VLT-XD8000LP Mitsubishi lamp replacement has superior brightness and lamp life than other cheaper generic replacement lamps being sold elsewhere. Purchase with confidence from Pureland Supply with free ground shipping and a 180 day warranty. Pureland Supply has these lamps in stock and was able to ship our (6) lamps out the same day as ordered! Very impressed with the stock levels and service we received. The lamps also come with the original 300 watt Ushio bulb unlike some other companies out there. We tried Jaspertronics and they did ship us an Ushio bulb but they substituted a lower wattage bulb that was not as bright. We will be returning to Pureland for the great service and quality lamps that we get. Ordering was so easy - spoke with a very friendly customer service rep who took my email address and then sent me tracking information within the hour. Great service! Lamp arrived and it looks great - packaged well too. Installed it easily and we are watching out projector again.